Believe In Your Prayers For Your Marriage. “Did I not say to you, that, if you would believe, you would see the glory of God?" “He staggered not at the promise of God through unbelief; but was strong in faith, giving glory to God; And being fully persuaded that, what he had promised, he was able also to perform. ...Now it was not written for his sake alone… But for us also, to whom it shall be imputed, if we believe on him that raised up Jesus our Lord from the dead…"
Yes, your faith may be challenged or resisted but it will only be for a while. All the great people of God you know had times when the enemy dared the Word of God in their lives. But they overcame… and you will. I am convinced beyond any doubt that God wants to make you another fulfilled joyful wife who shall share her testimony with others. God wants you to boast in Him and give Him glory. He doesn't want you to fail, or lose to the enemy. And He has the power to make your desires happen. But, God wants you to know that your victory will not be a coincidence, a happenstance, a lucky turn. Your husband change and marriage restoration will be by the power of the Most High God. He wants you to take your place among those that believed God, prayed to Him and received. He wants to stun you with His power. You should be a living testimony, a reference of a true believer who God amazingly restored her marriage. Your part here is to believe that He is able to fulfil His Words concerning you. By believing, I mean believing to the end! That part of yours could make or mar the plans of God to grant you the righteous desires of your heart. But this piece today will help you stay strong, overcome the trials of your faith and have a refreshed marriage. “If you can believe, all things are possible to him that believes." As a matter of truth, Jesus is speaking the above statement personally to you and me. We are called believers because we have to believe what is written before they happen for us. Even then, we receive in the spirit first before it manifests in the physical. 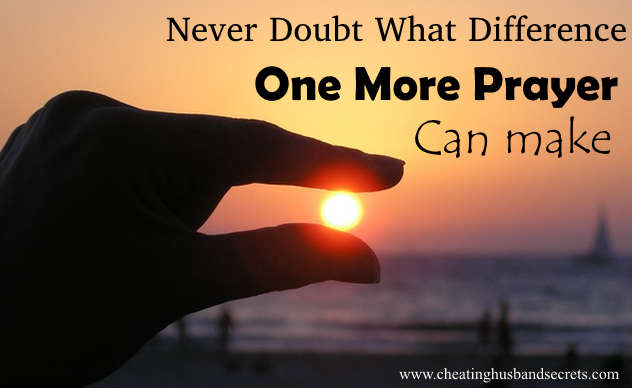 Believing for a short period of time and doubting when your faith is challenged is no good. It keeps you in a spot for too long, like a pendulum that swings forward and backward but it is in a spot. This Is How To Believe And Have Your Victory. You need to believe that every single prayer you have made is counting and not a single word is powerless. True, something is changing with every prayer of yours. You are moving towards your goal. So, in a simple language, what does it mean to believe? Believing means expecting that God will do what He said He will do as you pray. Believing means that your prayers will have only one outcome... and that would be your expectation in line with your prayers. Believing means everything in the contrary now will fade away soon. Things will happen for you as it is written or said in the scriptures. "…blessed are they that have not seen, and yet have believed." You do not need to know how the issues of your husband and marriage will change from the present state to where you want them to be. In fact, you do not have the ability to know how God will resolve your own matter. Praying is an exercise in believing. You have not seen God but you believe He hears you and will work for you as He said. Nevertheless, that is not enough. You need to believe that every single prayer you have made is counting and not a single word is powerless. True, something is changing with every prayer of yours. You are moving towards your goal. That’s my key mindset in prayer. None of my prayers can ever be wasted or be defeated. God said when I pray, He will hear and answer. Continue Believing No Matter What. "Iron sharpens iron; so a man sharpens the countenance of his friend. You need to believe God again because He will bring you to the place you have prayed and expected. Perhaps you are at this familiar situation. You pray and believe but negative things happen… and they are not what you prayed. How can you pray and different things happen? It’s not easy to bear. Thoughts perch on your mind. Maybe you should pray something else. It seems prayers are not going to do this job after all. Would it not be better to abandon prayers and watch how things develop? All manner of ‘reasoning’ that increase fear and anxiety. If you are not careful, the prayers reduce and you do not read the scriptures anymore. Rather you listen to those talebearers and start to search the social media to know what’s going between ‘those two’. Certainly, you will see and hear more to make your heart wax cold. Those are the things you should NOT do. If you ever heard of someone missing their way, that's what it is! If you are already there, do a reverse and return to prayers. Instead, hook on with those who share the vibrant faith in God and testimonies. Read the scripture, even if you don’t concentrate much (I know how it is!). Be at Christian fellowships. You may not feel like it. The words may be coming out of your mouth without much faith but pray on. If you need to read-pray and repeat several times, that’s ok. But pray. You may write me and tell me how it is with you. I will pump in some spirit through the Word of God. At such victory of faith, you will definitely have some substantial, tangible changes in your husband and marriage. The BBI Level 4 Is Very Close. I have received signals to prepare for the BBI Level 4. 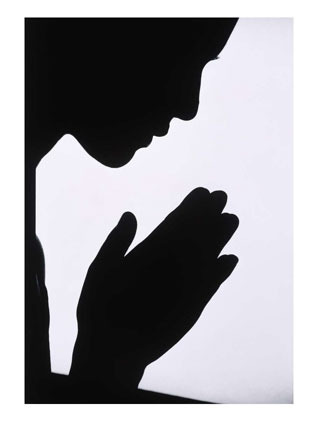 In fact I have received the prayers, and have been praying them ready to release them as soon as I get the instruction. However, I have not been given a date for the take-off so I cannot announce it yet. But I expect it to be this month. Immediately I get the date, I shall announce it here for all. In the mean time, we have prepared the BBI manual (What You Need To Know About The BBI) to enlighten everyone who wants to know more, and be part of the success of the BBI. The manual can be downloaded HERE for free.